HomeCitizen’s Co-Op Workers Union in Gainesville Needs Help! 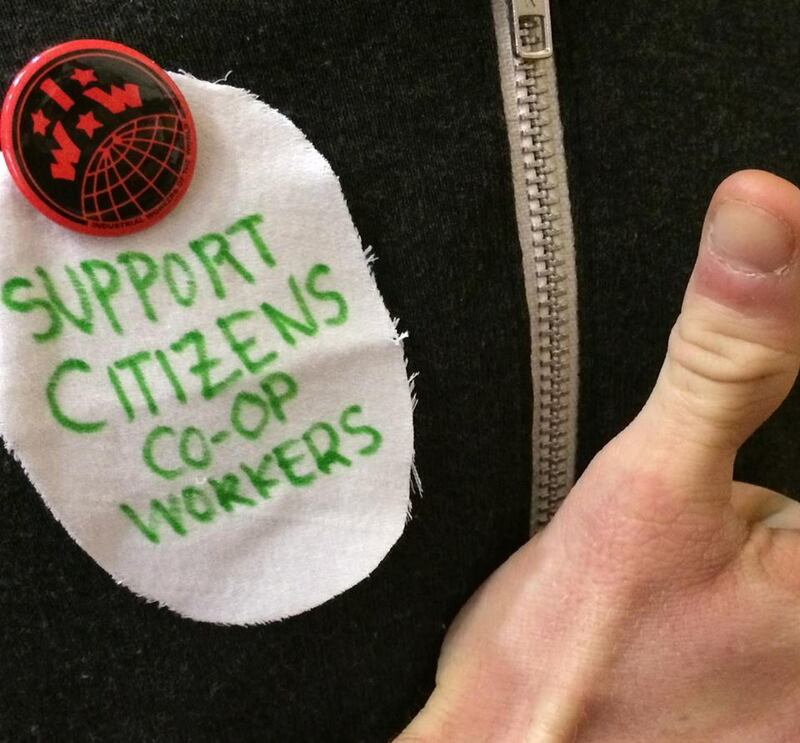 Citizen’s Co-Op Workers Union in Gainesville Needs Help! IWW members working at a consumer co-op grocery store in Gainesville, Florida, unionized recently to address conditions in their workplace. Following their first meeting with the store’s general manager, an ad appeared on Craigslist advertising one of the unionized workers’ jobs. This morning, five out of seven of the unionized workers were issues notices of dismissal, apparently for their union activity, which is illegal and will be fought by the union. Yet sadly this is a typical reaction among employers to that their employees have unionized. Why is it so threatening a concept that workers should organize to have a say in how they do their jobs? ← IWW Organizer Tasia Edmonds reinstated!